This service is perfect for anyone with a do-it-yourself spirit, working within a small budget, on the inspiration hunt for your space, or needing assistance with shopping for and sourcing products. 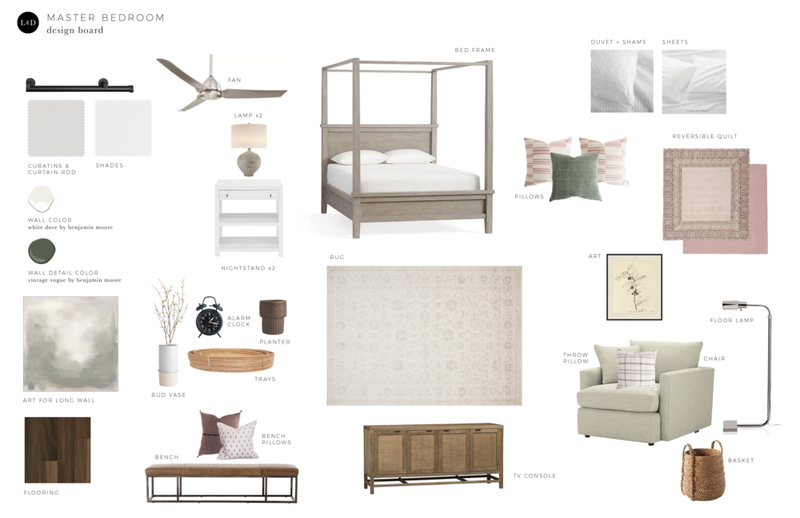 The Light & Dwell design team works with you to create a digital design board and shopping list with links, but it’s up to you to order and install (we provide helpful tips). Everything is done efficiently through email, and there are two revisions included. After you submit your design form (click on the Virtual Design Form button to the left) and send pictures of your space, we’ll send you an invoice and get started on your designs. It’s that easy! Our design team gets to work thinking through your space. 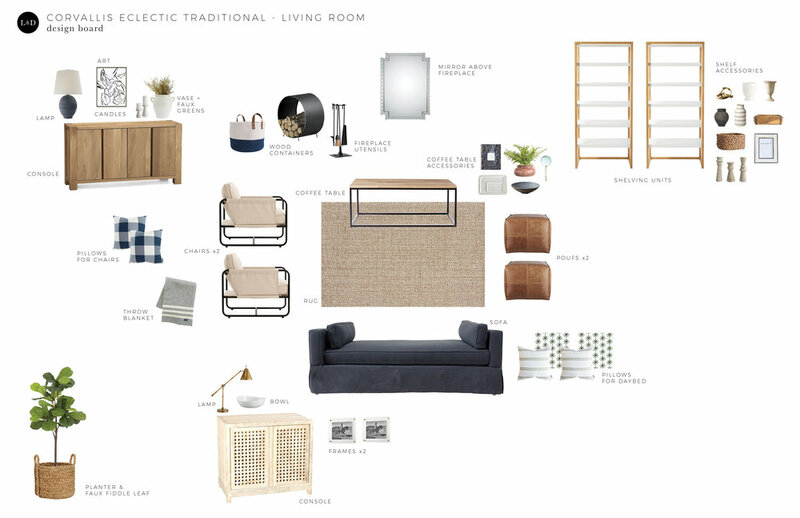 We find product and create a design board (shown above) to show what your space will look like. Our goal is to design a space that you are thrilled about, and we allow for two revisions in order to make your designs perfect. Once we have all the revisions finalized, we will send you your final design board and provide a detailed shopping list with direct links for you to order. We understand that ordering, installing and styling can be a daunting task, so we provide styling tips and how-to's for our Virtual Design Clients.